Contrary to all logic and reason, emoji are a big deal on smartphones and people care what they look like. 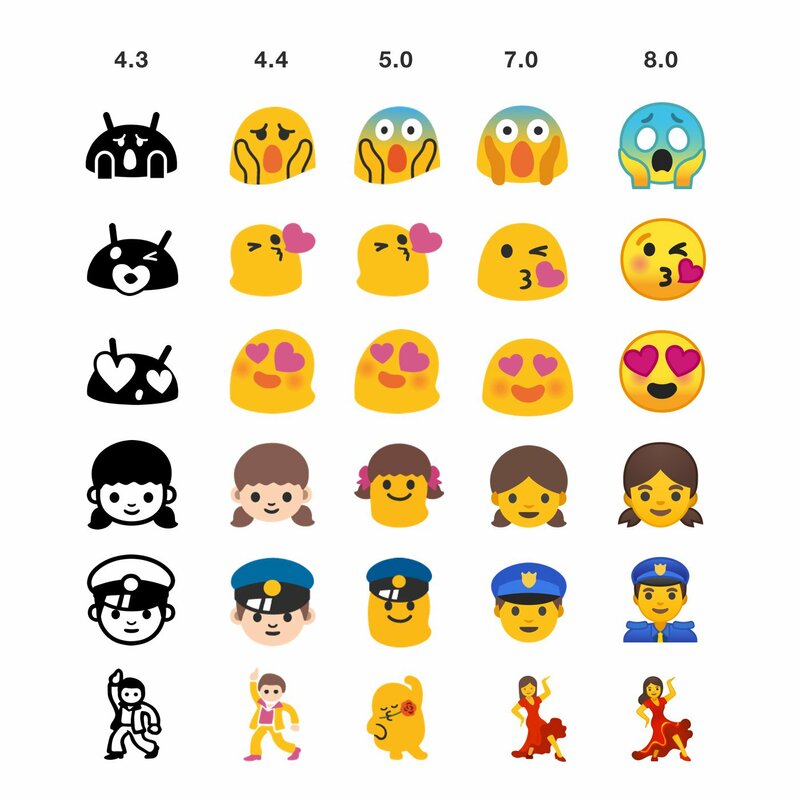 For example, I and many others loved the Google blob emoji, but Android 8.0 killed the blobs. The scale of this unspeakable crime is laid bare by Emojipedia in its comprehensive Oreo changelog. Android 8.0 has support for the Emoji 5.0 release, which means you get things like the vomiting face, face wearing a monacle, zombies (both male and female), man with beard (what, no bearded lady?! ), dinosaurs, broccoli, a UFO, and more. Google also added the UN flag this time around, which was part of Emoji 4.0 and should have been in Nougat. As far as the changed emoji, it's pretty much everything. Emojipedia has a lot of good examples. In general, Oreo goes for traditional smiley faces instead of blobs, and the other objects have a more photorealistic vibe. Frankly, I think all that added detail is unnecessary and actually makes some of them more confusing. 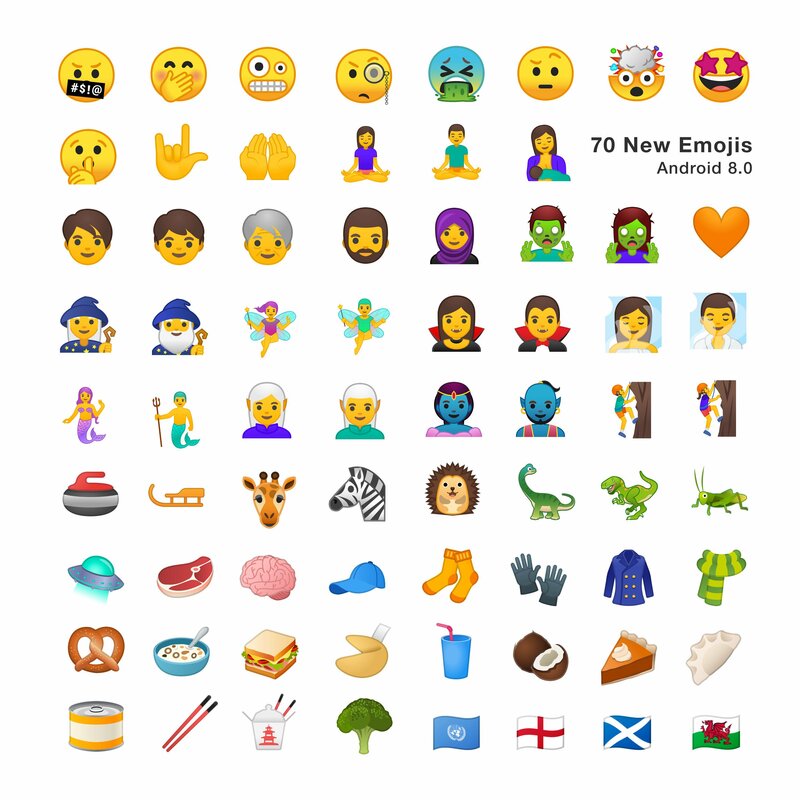 If you want to see every single emoji in 8.0, Emojipedia has a full list, as well as only those that are new or have been changed (again, basically everything).